The nominations for the 2018 Jazz FM Awards have been announced. Bassist extraordinaire Thundercat, formidable vocalist Cécile McLorin Salvant, genre-bending bassist and singer Esperanza Spalding, and pioneering trumpeter Christian Scott aTunde Adjuah are all up for awards alongside the cream of the thriving UK scene including Shabaka Hutchings, Nubya Garcia, Jacob Collier and Yazz Ahmed, as announced at the nominations event held in London at ‘Melomania at Cambridge Audio’ on Tuesday 27th February. Recognizing the best emerging new artists, contemporary jazz icons and established stars from across the worlds of jazz, soul and blues, the Jazz FM Awards are now in their fifth outing and will celebrate what has been a remarkable year for jazz which has seen the genre continue to enjoy widespread critical acclaim and a huge resurgence in popularity. The ceremony will take place at Shoreditch Town Hall on International Jazz Day on 30th April. As well as the awards presentation, which will be hosted by Jazz FM presenters Chris Philips and Jez Nelson, the night will feature several performances from a range of acclaimed artists led by rising star pianist and MD of this year’s Jazz FM Awards House Band, Ashley Henry. Cecile McLorin Salvant, who was recently honoured at the Grammys, is the first artist confirmed to perform at the event and will showcase material from her 2017 release Dreams and Daggers. The US powerhouse vocalist has been nominated for two awards this year under the categories of International Jazz Act of the Year and Album of the Year, with the latter decided by public vote. The recipients of the special award categories - PPL Lifetime Achievement Award, PRS For Music Gold Award and Impact Award - will be announced ahead of the ceremony. In previous years, these special award-winners have included Oscar-winning film director Damien Chazelle, Georgie Fame, Quincy Jones, Gregory Porter and the late Hugh Masekela. Public voting is open now at www.jazzfmawards.com and will close on Monday 2nd April. 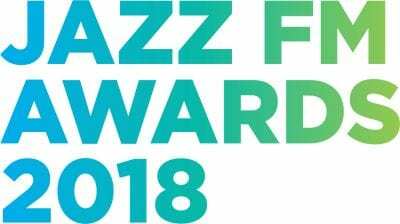 The Jazz FM Awards 2018 is a partnership between Jazz FM and Serious and is made possible with the support of Mishcon De Reya, PPL, PRS For Music, Rathbones, Oris Watches, Grange Hotels, Lateralize, Arqiva, Yamaha, RCS, Shoreditch Town Hall, Cambridge Audio, Denbies Wine Estate, Warsteiner, Sharpstream and British Airways.